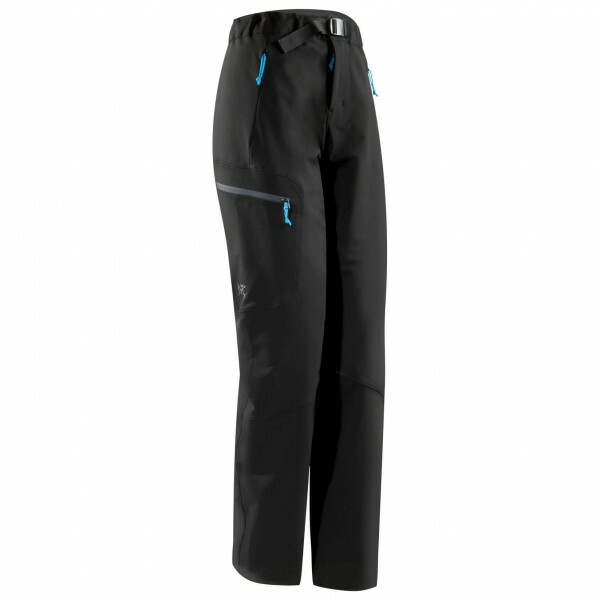 The tough and durable Arc'teryx Women's Gamma AR Pant blends the mountaineer's tenacity with the yogi's flexibility. This abrasion-resistant softshell pant focuses on mobility, weather protection, and soft, cozy comfort with the four-way stretch of Burly Double Weave, its DWR coating, and a brushed interior. A gusseted crotch adds mobility and comfort, while a webbing belt, chamois-lined waist, and no-inseam construction on the lower leg keep everything tight, clean, and lean. Hook the cuffs onto your boot and adjust the hem cords for on-the-fly gaiters.